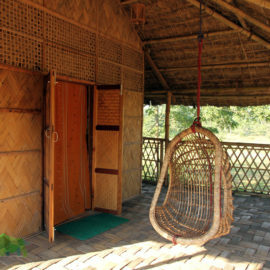 Dhansiri EcoCamp ( Kaziranga ) – Dhansiri EcoCamp – Take you to the ride of the Nature! We at Dhansiri EcoCamp provide all the necessary services to make your Wildlife Safari an Unforgettable Experience. 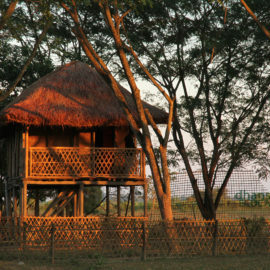 Kaziranga is the Wild Life Galore for the tourists. Tourist will be provided the Jeep Jungle Safari facility from the resort to the nearest forest division. A ride on boat over the mighty Brahmaputra along side the Kaziranga National Park, to view the breathtaking natural beauty on the river foot. Utmost care is taken for hygiene and quality to serve Authentic native varieties of Assamese mouthwatering dishes. Lodged in the banks of the Brahmaputra on the edge of Agaratali Range of Kaziranga. This is the perfect place place to escape from the rigors of modern Life. Run by wildlife expert Gautam Saikia. Adequate basic amenities but 5 star experience. Visited this place with two other families and stayed in cottages......... nice and cozy place to stay, highly recommended for all pure Nature lovers. They provide boat safaris which are very good. Food is homely and fully organic. 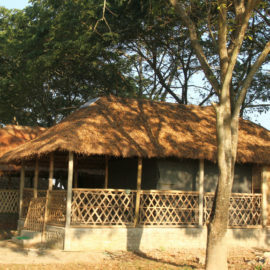 Wilderness is the key in the Dhansiri Eco Camp in Bokakhat, Assam adjacent to the Kariranga National Park (Agoratoli section). We were there for 2 nights at the camp (resort). The LOCATION CANNOT BE ANY BETTER. 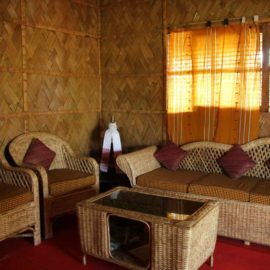 Situated in the banks of the Dhanshri river where it meets the Brahmaputra, and just a stone's throw from the national park. Bokakhat Dhansiri Mukh Dist. Golaghat Assam, INDIA.